I love these times as we get to chat & discover more about others, find mutual interests or have our horizons expanded by what others are studying or doing in their lives. This year I was a guest for a Saturday night dinner at Sue & Keith's house with Dan, Luke & James, 3 of our amazing young adults who serve our church in our youth, children's & worship ministries. 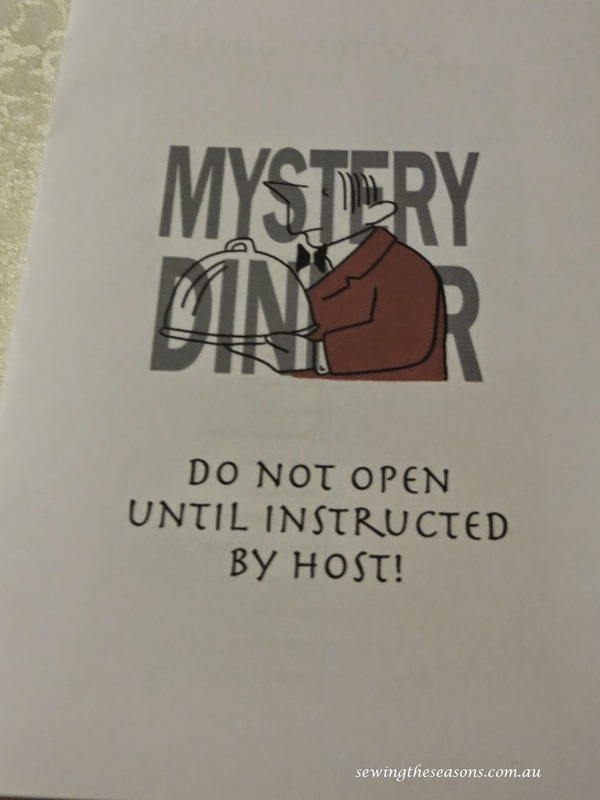 Once seated, the mystery was explained, we had our menus with 20 clues listed on them. There would be 4 courses, & each course would have 5 'items' in them, whether it was cutlery or food. Let the fun begin! Sue was to eat whatever I picked, & Keith ate whatever Luke had chosen..... bit of pressure there to ensure we made some kind of reasonable choice. James & Dan had their own choices. Some of the clues were quickly solved (thanks to Luke for humming the Pizza Hut theme for clue number 1), others were complete mysteries adding to the fun of the night. I circled the clues I was fairly sure were cutlery to hopefully spread them out over the different courses. By sheer fluke, I also managed to pick the straw ('Pharaoh denied this') with my glass of water ('used in Cana') for my 2nd course, & it wasn't too bad to spread my butter with a fork, making a ham roll. I knew I had chosen a spoon for 4th course with the ice-cream, but didn't realise that was the course I had chosen the carrots & celery ('healthy twigs'). Couldn't resist a quick 'snowman' sculpture before eating the final course for the night. 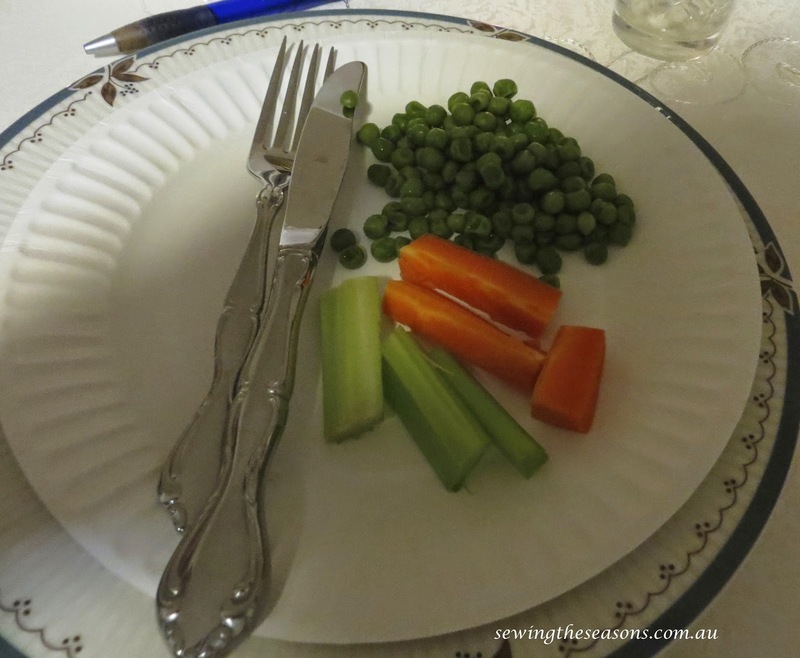 Here's a couple of snaps of some of our creative eating methods during the night. 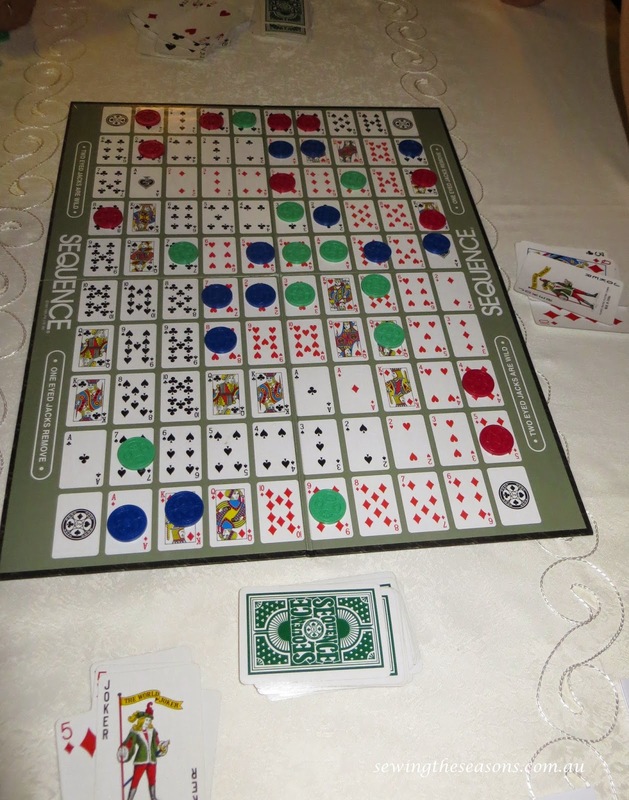 Following the meal we all enjoyed a round of the game Sequence to round off a fun night (some people were very pleased each time they blocked a move from the opposing teams). Sue & Keith hosted a wonderful evening, doing an amazing job of keeping all the food warm for whichever course we had chosen to eat it as well as being very creative with the clues they wrote. We had one final group shot before heading home. 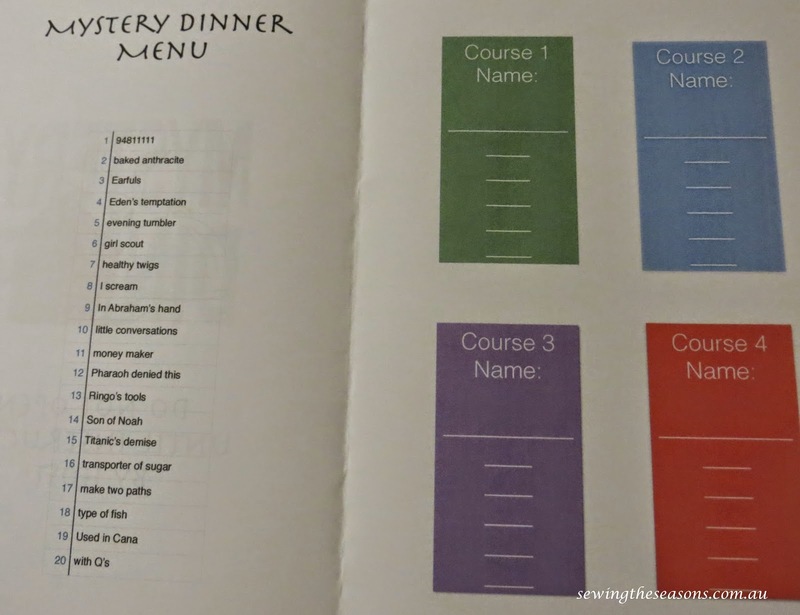 This kind of night is a lot of fun, you could do this with any food combinations, creating your own mystery menu of clues. 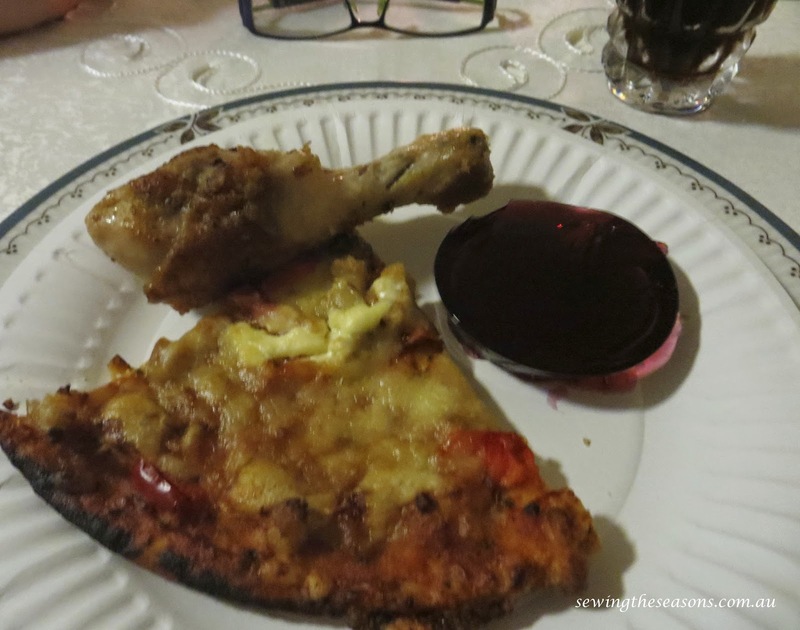 Here are some more snaps of some of the weird & wonderful food/cutlery combinations that were enjoyed on the night.